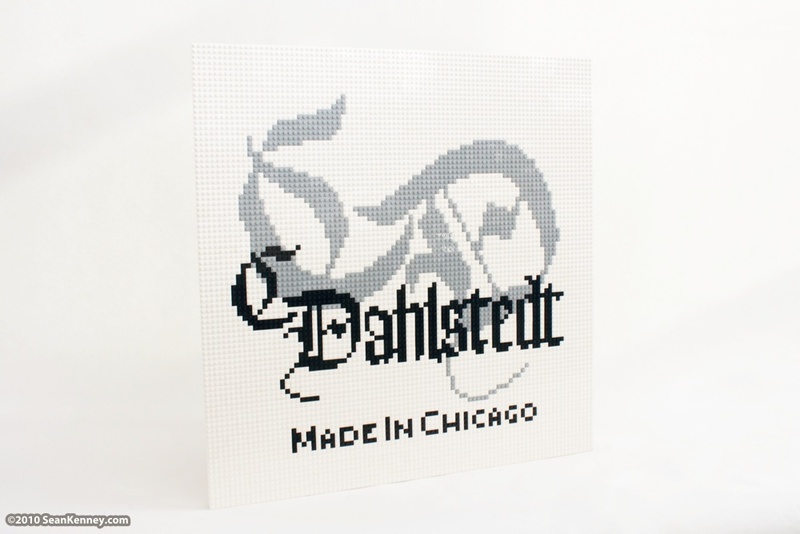 The founder of this new Chicago-based clothing company asked me to create a LEGO sculpture of their beautiful new logo for them. This mosaic is actually a super-gigantic scaled-up copy of the tags that appear inside their clothes! 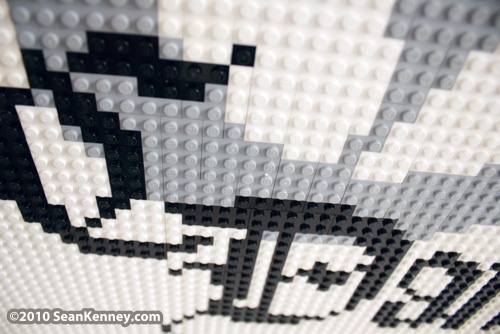 It was a lot of fun to draw out the thin squiggly calligraphic lines as blocky LEGO zig-zags!